Meryl Wins the Mirror Ball Trophy! I suffered through 2 hours of kitsch but was rewarded when our girl, Meryl, won the 18th season of Dancing with the Stars! Other than the frustrating fillers in the episodes, there were a few dances by our lovely ice dance couple, including one where Meryl danced with Charlie. 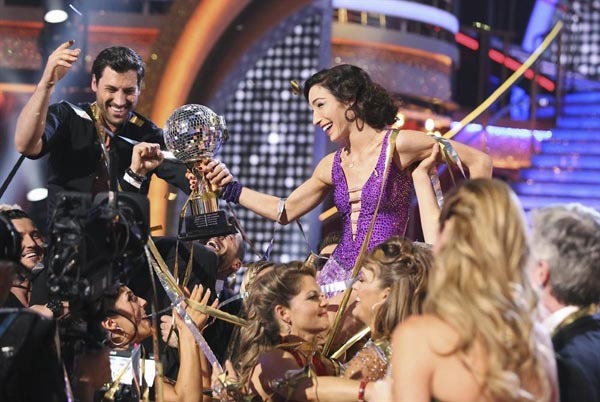 In any case, congrats to Meryl and Maks for winning! They totally deserved it! Although Charlie hasn’t made it to the finals, Meryl is still in the running to be crowned this season’s winner of Dancing With the Stars. I admit, the public’s fascination with Meryl is still obvious on my blog as many posts about her are still popular. This week is finals week and I believe the winner is to be announced today. The Rinkside Cafe wishes you the best of luck! I want to see you with that trophy in the end! Do you think Meryl will win? Let me know in the comments! That title might go to his main foil and rival, Johnny Weir who seems to have grabbed a lot of attention from his outfits and role as commentator at the Sochi Olympics. 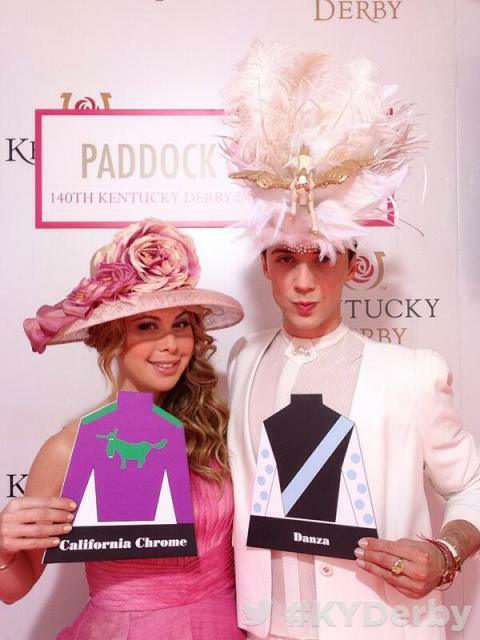 This week, Johnny and Tara Lipinski are catching people’s attention with their really neat hats at the Kentucky Derby. For more news on it, check out this Buzzfeed article. What do you think of Tara and Johnny’s hats? Let me know in the comments!